Thanks to the VariCam LT camera we are able to achieve an image live every day as striking as what we achieved in the promos, which caused much surprise. To create a TV programme that has a cinematic feel. 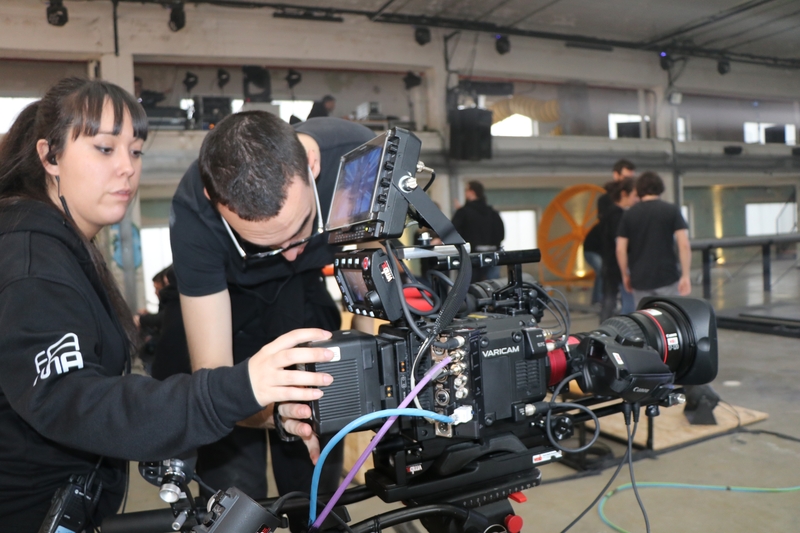 The latest update for the Panasonic VariCam LT 4K camera, the latest update allows for broadcast environment settings and comprehensive colourimetry control. 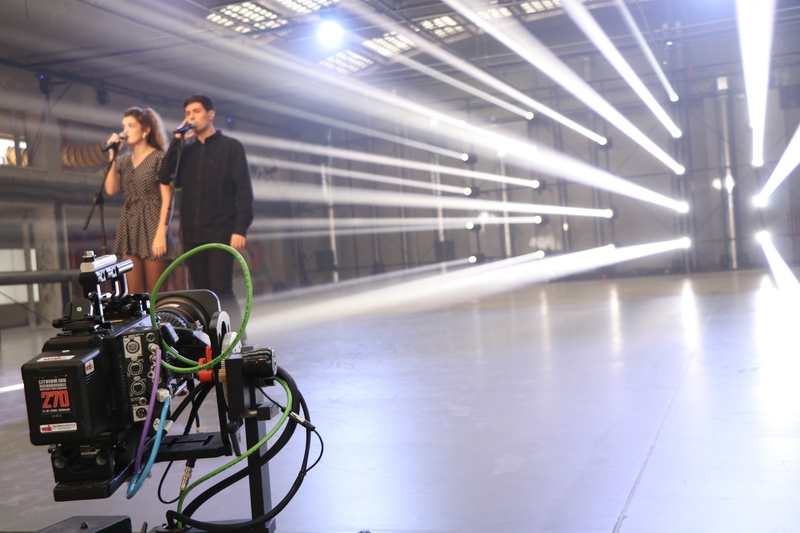 Movistar+ has recently launched its new talent show ‘Fama a bailar’, produced by Zeppelin TV (Endemol Shine Iberia). Ten years since its TV début, Movistar+ has returned to a format whereby during the course of thirteen weeks, eight dance duos are to coexist in an academy full of classes, workshops, visits from artists, nominations, expulsions and more. ‘Fama a bailar’ airs daily on channel 0 (Movistar+) and through its 24-hour channel (Movistar+ and Youtube). Movistar+ and Zeppelin TV set up this peculiar dance academy in an iconic building. After considering numerous locations, the former perfume factory in Alcalá de Henares (Madrid) was chosen. Perfumerías GAL is an impressive open space with vaulted ceilings and large glass windows. "We wanted to achieve an aesthetic feel and a level of quality that continued to surprise the audience. This was possible with the use of cinematographic cameras." This historical industrial unit brought some challenges, such as creating available living quarters for the participants, as well as large and small sets. As for the image on the screen, Zeppelin has opted for an innovative cinematic feel. 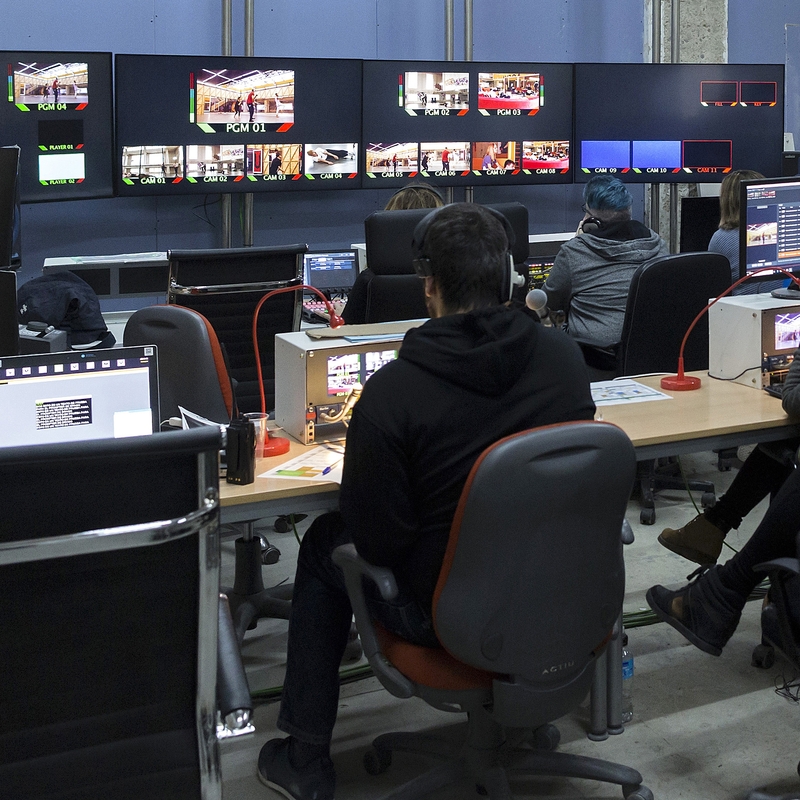 For the first time worldwide, a daily programme broadcast live is being produced with digital cinematography cameras. 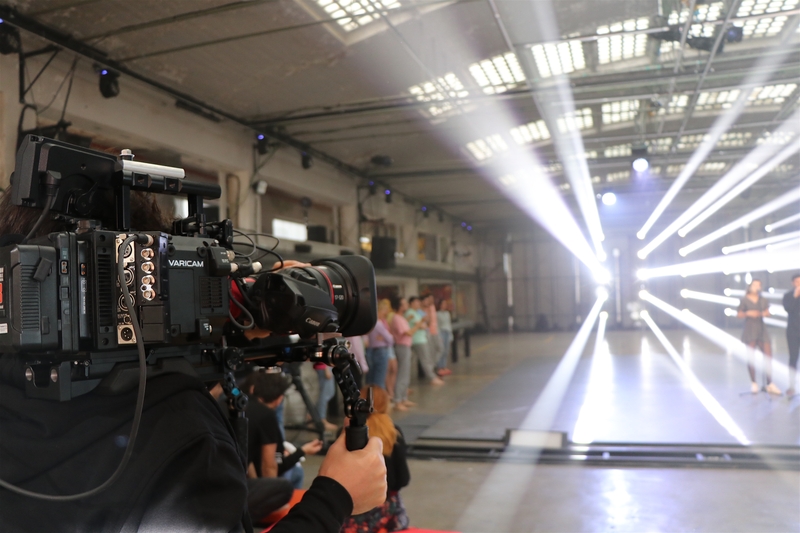 The producer has chosen Panasonic’s VariCam LT 4K camera with its most recent update that allows for broadcast environment settings and comprehensive colourimetry control, in addition to tally and return video management. “Both the casting sessions and promos for ‘Fama’ surprised everyone with their ‘cinematic look’. We wanted to achieve an aesthetic feel and a level of quality that continued to surprise the audience. This was possible with the use of cinematographic cameras,” adds Gacal. “We started looking into manufacturers that were able to offer cinema quality coupled with studio features. We were delighted to discover that Panasonic has recently fully integrated its studio remote operation panels (ROP) and its VariCam LT cinema cameras,” continues the TV’s technical director. “Despite a pioneering experiment such as this one never being devoid of unforeseen issues, the truth is that ever since the first demo they prepared, and up until this moment, Panasonic has been there for us every step of the way. After the initial testing stage, we identified that some tweaks were needed to respond to the challenges of live production. We passed our comments to Panasonic, and after just a week, we received a firmware update featuring all the specifications we required from the system,” adds Gacal. Gacal emphasises the fact that working live with the VariCam allows for making the most of the image generated by a wide dynamic range and high-sensitivity Super-35 sensor, producing an outstandingly accurate colour. 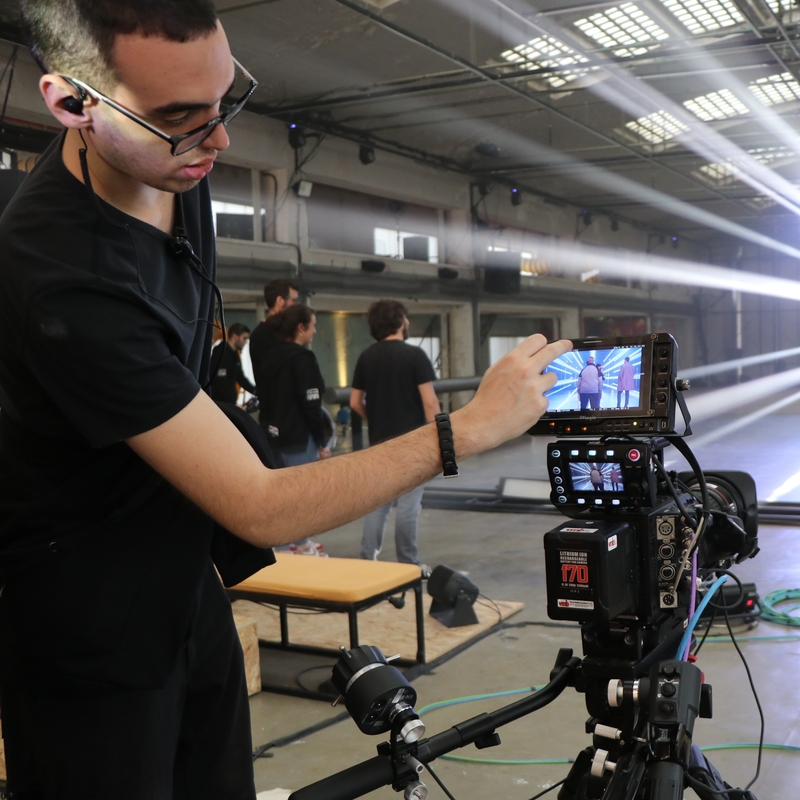 VariCam LT’s latest update allows for recording V-log in the camera while live colour corrections are being made from the network-connected ROP. In terms of ‘Fama’, the live broadcasts from the main set are codified in DNxHD 120, with 709 colour space signals ready for mixing and broadcasting. On the other hand, Zeppelin TV uses the versatile Panasonic AU-EVA1, cameras set to Log mode, and then processes the material for colour correction through post production. “In live broadcasting, the VariCam camera allows us to adjust LUT by scene (up to 6 scenes) directly from the camera’s control. This allows us to immediately respond to changes in the light conditions seeping through the windows or the skylight. In exteriors, the AU-EVA1 cameras offer us a texture that is as close as possible to that of a VariCam. Sometimes materials are mixed and we want the difference to seem as slight as possible,” says Gacal. “Both during the day and in the evenings, VariCam allowed us to achieve the most faithful, clean image possible. We have not had to mask the image to achieve that cinematic feel, we have obtained it naturally. We don’t need to force the contrast like we would using a studio camera,” he adds. It is also worth mentioning that producing television from a conceptually cinematic viewpoint, does not just require versatile equipment such as VariCam, it also needs new professional profiles. 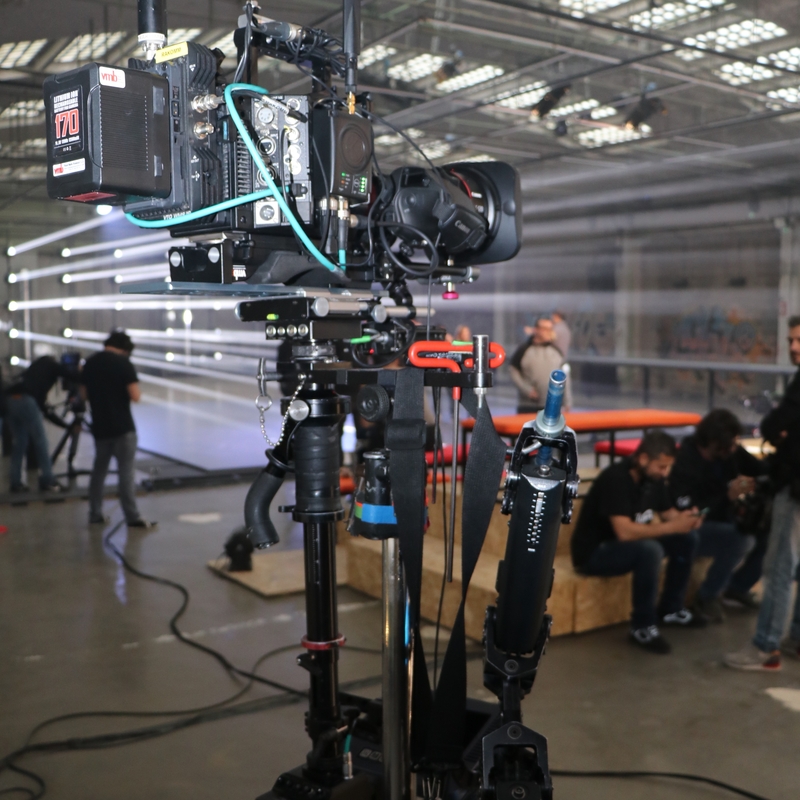 To take on the production of ‘Fama a bailar’, Zeppelin has created the post of photographic director, whose duty is to coordinate cameras and ensure adherence to the programme’s style bible. In this case, it is Alberto D. Centeno (AEC), who is in charge of establishing the plane composition, ISO, depth, aperture range, etc., bestowing a continuity of sorts to production as a whole in terms of the image. Lighting technician Iñaki Irastorza (AAI) also plays an essential role in this respect, as he has been able to make the most of the industrial unit where the dance academy is located - in spite of the limitations involved in using a space whose infrastructure was not originally conceived as a set. During these last few weeks, the old GAL factory in Alcalá de Henares has become a great production centre from which the different live spaces, recaps and a 24-hour channel are produced, showing everything that’s happening in ‘Fama a bailar’. Much like with other Zeppelin productions, all the video and audio materials are collected, stored and managed using EditShare systems, while EVS XT3 servers are used for any repeats and as players for pieces included in the live broadcast. Furthermore, a Riedel Mediornet network provides video, audio and data through an extended network throughout the facilities. In terms of audio, the production company boasts Yamaha LS9-32 consoles with 32 - 64 channel - microphone/line inputs and Shure microphones. Zeppelin TV’s technical setup for the production of this talent show also boasts a number of Avid Media Composer and Blackmagic DaVinci Resolve edit rooms for finishing the recorded material.